Trendy and modern; what used to be known as simply “Downtown” is now DTLA. The area is now popular with the hip young L.A. crowd who are drawn to its burgeoning art scene and nightlife hot spots. Eighth & Grand was built with this new crowd in mind. From murals on outer walls to a lobby that could rival the best coffee shops in the area, Eighth & Grand is built to blend in naturally with the neighborhood’s stylish look and feel. When you’re ready to venture out into the neighborhood, Eighth & Grand has you covered. The location is conveniently walkable to many new restaurants, galleries, nightlife spots and much more. 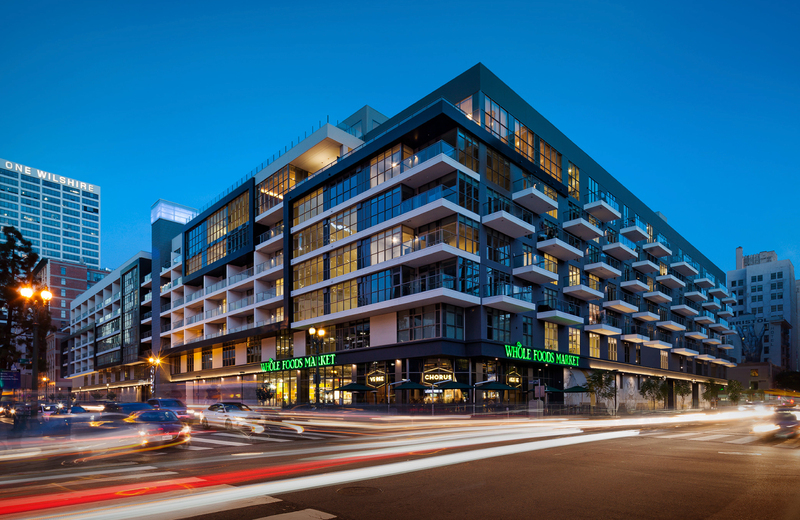 No other apartment combines modern luxury and convenience with DTLA style.